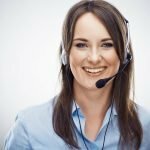 LOOKING FOR A CANBERRA WEB DESIGN TEAM? Our location offers free parking. 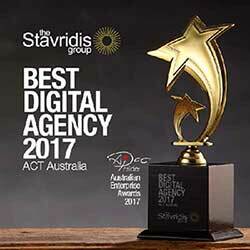 As a full-service Canberra digital agency, we provide a strategic approach to driving qualified traffic. Through various coordinated web design and digital marketing campaigns we integrate search engine optimization (SEO), pay per click (PPC) and social media campaigns. This allows clientèle to be targeted locally, nationally, or globally to fit your brand’s needs. We take pride in our marketing team’s achievements, and you can browse through our portfolio for a preview of the quality results we deliver to our clients. We bring ideas to life with perfectly executed creative. Our websites, videos, campaigns and copy-writing build a brand story that will resonate. We don’t just take your order and serve you a web design. Our website designers take the time to get to know you and your market to create an all-encompassing digital marketing presence around an award-wining design. Tap into our talented designers, graphic artists, content writers, programmers, and digital marketing experts all dedicated to making your brand successful by producing new leads and customers. SINCE 1993, we have designed over 500 award-winning projects on budget and on-time for over 500 start-ups in almost every industry you can think of. Did we mention we have a 99% client retention rate? Why choose our the Stavridis Group? The Stavridis Group is made up of experienced developers who build & maintain quality websites. Being Canberra based allows us to meet with you and discuss your requirements face to face. Located in Fyshwick we are literally just ‘around the corner’ from you! Our commitment to providing you with a quality design service with regular ongoing maintenance beats our competitors. We offer friendly, efficient and cost effective design solutions to your requirements. The Stavridis Group has years of design experience with search engine optimisation skills (SEO) to ensure that your new website achieves good prominence across all three major search engines (Google, Yahoo and Bing). You don’t get on the first page of Google overnight and we have achieved this through many hours of work. This means we can help you achieve the same results so give The Stavridis Group a go and work with one the best Design Canberra teams. We are an award winning digital agency that provides a complete range of digital services that our customers expect. We are multi-talented. From graphic design to web design, from photography to video editing and streaming, from computer animation to search engine optimisation and from logo design to internet marketing, we are there for you with you all the way.